If you’ve ever felt the calling to inspire, empower and transform the lives of others through the deep-reaching teachings of Yoga, the April 2019 intake of our acclaimed Yoga Teacher Training could be the perfect time for you to make living your love for Yoga an everyday reality! 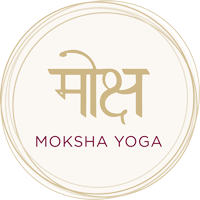 The Moksha Academy of Yoga is renowned for the comprehensive depth of our training and producing yoga teachers of the highest quality – skilled, confident and fully equipped to deliver truly transformational yoga experiences. Choosing the right Yoga Teacher Training for you is an important decision, as the first steps you take along your yoga teaching path are often the most pivotal in shaping the journey ahead. Most yoga teachers will share with you how their training will always be remembered as a truly special, sacred and transformational time of their lives. It’s essential to get all the information you can about the journey you’re dedicating yourself to, as well as forming a clear picture of exactly what this will have given you by the end of your course. With our Special Early Bird Rate (saving $700 on your training) ending a couple of days later on Friday 15 June, this Info Session is your ideal opportunity to meet us face to face, ask all the questions you may have and get a first-hand feel for how your teacher training journey would be with the Moksha Academy of Yoga. You’ll also receive a complimentary 7-day pass to experience the style, energy and philosophy of our Moksha Yoga classes for yourself – why not make an evening of it and follow the info session with a yoga class from 7:30pm – 8:45pm? Course commences 17 July 2019. Applications close 12 July. Payment instalments are available. To find out more about the Moksha Academy of Yoga Teacher Training courses and download the right Information Pack for you, please visit our Moksha Academy of Yoga Teacher Training page. Don’t hesitate to contact us if you need any further information!